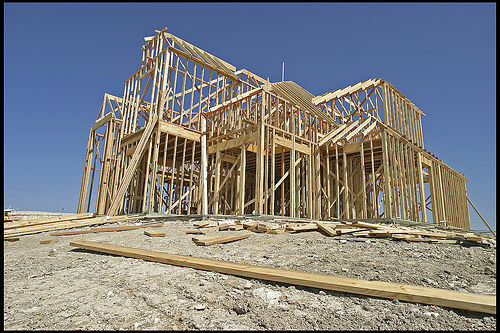 A McMansion under construction in Texas. Photo by Dean Terry. There Goes the Neighborhood Matthew Yglesias looks at neighborhoods effected most by the housing bubble and finds that exurbs and fringe cities – where mass transit is non-existent – are taking the biggest hit. Slowdown Hits Towns at Outskirts of Texas Boom Reporting for the New York Times, Leslie Eaton talks about how one bedroom community on the fringe of Dallas is struggling to stay afoot as housing values plummet.